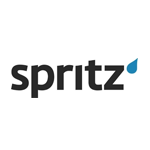 Just in case you were worried there wouldn't be anything intriguing or unexpected about Galaxy S5, check this out - Spritz, a new company (launched February 23rd) looking to "reinvent reading" will be coming exclusively to the S5 and Gear 2 by way of an email app. From Spritz's news release it isn't clear whether this will be the default app on the phone or a preloaded one, but the technology itself makes it interesting either way. Spritz works on the principle that the human brain focuses the eye on one central point in every word, and from that point it can read and comprehend the word. Where this point (the "optimal recognition point") lies shifts depending on the length of the word, so the ORP is in the letter o in "word" but in the letter i in "positioning," as seen below. 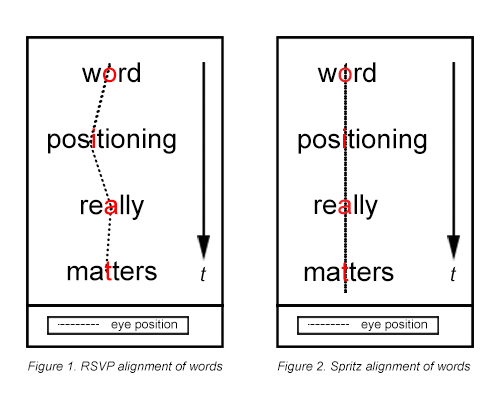 By aligning every word according to its ORP on a display Spritz calls a "Redicle," Spritz claims "inefficient eye movements associated with traditional reading" are eliminated, thus making it only a small challenge to read (and comprehend) at speeds up to 500 words per minute. The other half of the equation is rhythm. Spritz has fine-tuned the speed of their speed-reading tool to allow for even easier reading. Below is a quick gif of the demo reader on Spritz's website at 400wpm. Spritz says that beyond the initial partnership with Samsung, it hopes to get its speed-reading tech on more devices (Glass, anyone?) but the company doesn't plan to do all the work itself - Spritz is offering the Powered By Spritz program for developers to integrate the tech into their own apps. Overall, Spritz is very impressive, and it will be interesting to see how the Redicle translates to a mobile screen. We shouldn't have long to wait now.